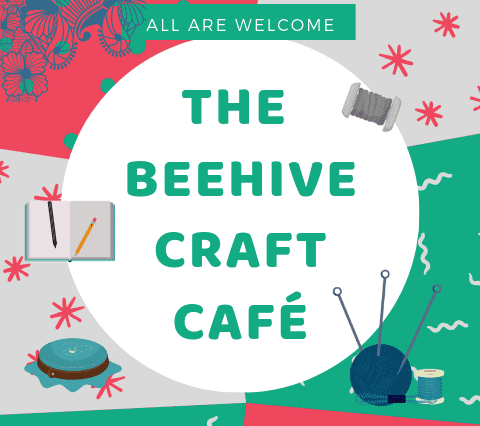 Something new at The Beehive – The Beehive Craft Café, a sociable evening where you can make new friends and hopefully share and learn new skills. Any handicraft would be welcomed; knitting, crochet, embroidery, lacemaking, hand quilting, sketching, painting or whatever takes your fancy. We hope to have various guests who will talk about their particular craft for about 20 minutes at each of these evenings. There will be cake! 7pm -9pm in the café at The Beehive.